I came to the United States in 2007 as an exchange student. I attended Edmond Memorial High School, graduating in 2008. 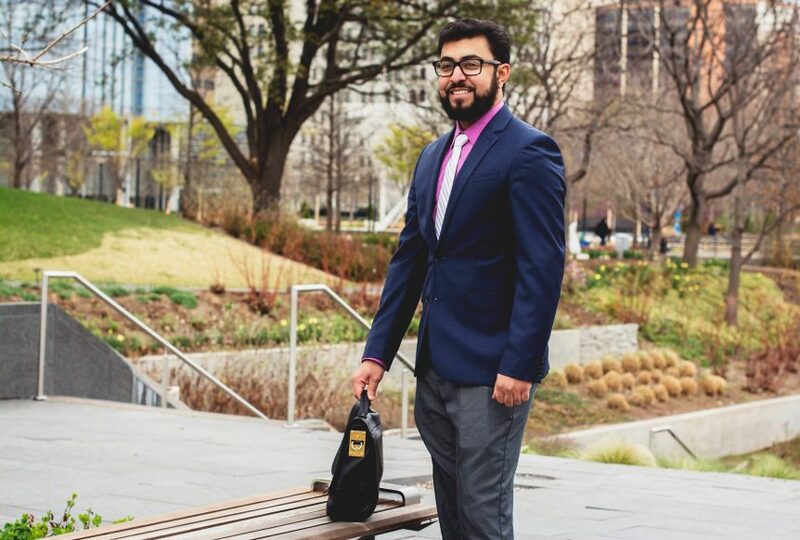 I lived with an American family in Edmond, and that is what led me to stay in Oklahoma and pursue my Bachelor’s Degree in Business Management. I was born and raised in Yemen, the oldest of four with one sister and two brothers. My father was an ophthalmologist, and my mother was a stay-at-home mother. Growing up in Yemen, there were many challenges we faced. We were discriminated against constantly because my father is from the south of Yemen and as a result was stripped of his social benefits. After the civil war of 1994 and the loss of the South, it became common for Yemenis from the South to not receive equal and fair treatment in their own country. This caused us to move around a lot so my father could seek employment, relocating at least once every two years. I was bullied as a child because of where my family was from and because I was perceived as different in Yemeni society. Moving around and being the new kid in schools also made it challenging to find acceptance and make friends, as it does anywhere else. 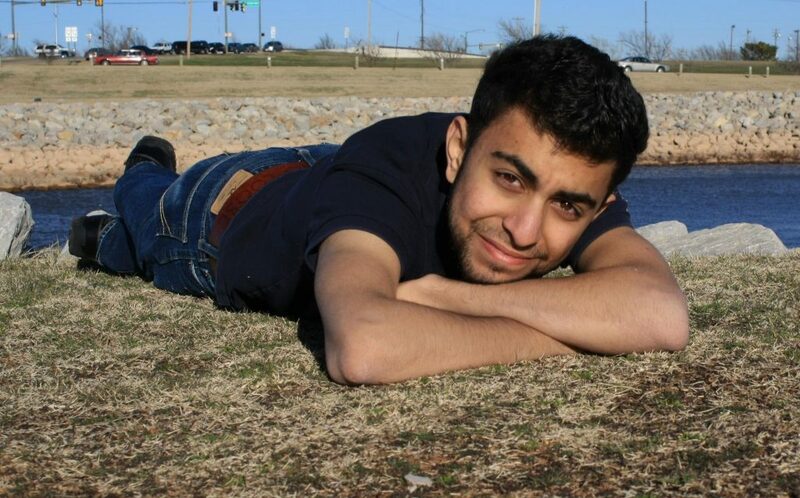 What led to your decision to come to Oklahoma as an exchange student? I knew I wanted a way out of the challenging society I was raised in back in Yemen. A family friend read in the Yemen Times about the YES (Youth Exchange and Study) program sponsored by the U.S. Department of State, and he told my father it would be a good fit for me due to my high grade point average. After encouragement from my father, I applied for the program. My application was denied due to my deficiency in English. Applications were only accepted on an annual basis, so I knew I only had one more chance to apply before I was too old to be accepted. It was a challenge worth accepting though. Since we could not afford English language schools, I attended some English institutes that cost less than the schools (but were not as professional). The institutes did, however, improve my English to the level required for ACCESS, a program that provided one free year of English schooling in American-sponsored institutions (through the U.S.’s AMIDEAST organization). While I was attending the ACCESS program, I applied once again for YES. I was conditionally accepted until I passed the Secondary Level Proficiency (SLEP) exam for English language proficiency. I eventually passed after several attempts and was fully admitted to the YES program. There was an expectation of at least 10 hours a month of community service as a part of the YES program. We swept streets, cleaned parks, painted an orphanage, planted trees, and performed maintenance at correctional facilities, all of which provided me with a sense of purpose at a young age which many of my peers lacked. The best comparison I could make is that it was like OU’s The Big Event, but multiple times a month. About a year after being admitted to the YES program, and not having any luck being placed with a host family, I was sent to Oklahoma to stay with the community representative for the program. I was told they were facing challenges in finding a host family that would accept me, due to my ethnic background and religion. After conflict with that YES program representative, a family that knew me and would take me out on weekends came and got me from the representative’s house. The father, Andy Oden, decided that his family would host me permanently and prepared for me to stay in their home while attending high school and later university. What are you currently doing? What do you aspire to do in your life? You are currently married with one child, how did you and your wife meet? We work together in the same law firm, but we met in Louisiana, where I lived briefly. We both worked at the same convenience store there. After accepting my marriage proposal, she decided to relocate back to Oklahoma City with me, and we were married in June 2015. My wife also had a challenging upbringing which is one of the many things that allowed us to connect as a couple. In the beginning, my wife’s family did not welcome or accept me. After they were able to see how supportive I was as a husband, they opened up to me and understood that my intentions were to care for her, protect her and support her for our entire lives together. Now we have a good relationship we visit each other often for holidays. My wife has been incredibly supportive for me over the years, believing in me when no one else could or would. 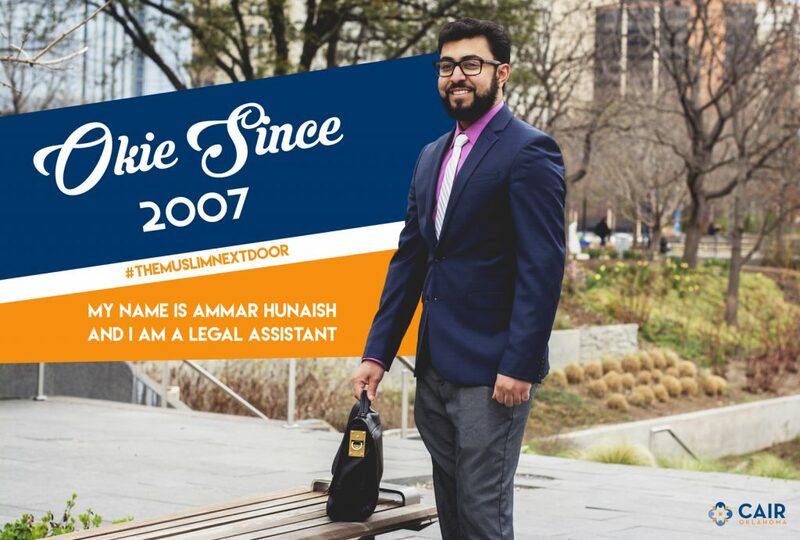 In April 2016, we had our first child and named him Hamzah. Our child brought us closer together as a couple, and we face the same challenges in his upbringing as all new parents. Given that you and your wife both had challenging upbringings, what would you like to see for your child that you were unable to experience at a young age? I want my son to have a bright future where he can live in peace without facing inequality. I want him to have a good education and the freedom to practice Islam without discrimination or bigotry. I also want him to feel a sense of giving back to the community to show appreciation for the state and country that took me at my most vulnerable and made me into the man I am today. As someone who has faced discrimination in your life, you know what it feels like to be treated different. 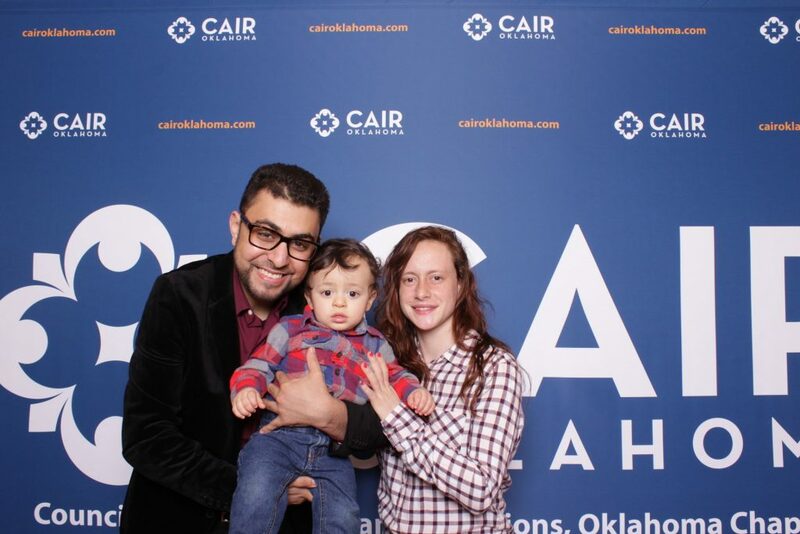 If there was one thing you would like your fellow Oklahomans to know about Islam & Muslims, what would it be? Despite my upbringing, I always think of Oklahoma as my home no matter where I go. I want my fellow Oklahomans to know that I admire the justice system we have in America and, therefore, I respect and follow the laws of our country with honor. I know that discrimination exists in our society; however, I truly believe that America has the potential to craft a society that is truly fair and equal for all people. And that’s all I want as an American Muslim. Moreover, I always think of Oklahoma as my home no matter where I go. Thank you for the kind note. The Odens have been a great support for me and my family in Yemen. I cannot thank them enough for it. I would love to someday meet you in person. I will be glad to share some of what I know about Islam and Muslims in the US. It’s great you are sharing your story, Anmar.